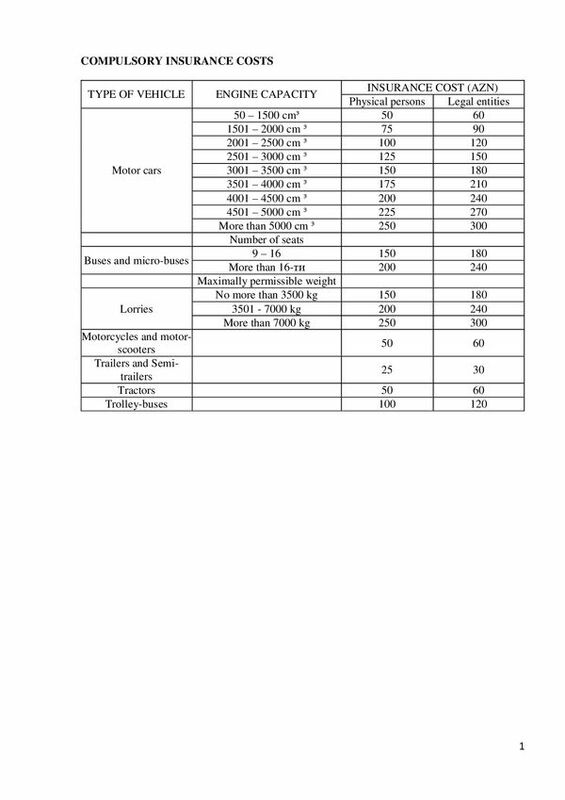 (analytical material for use in international and transit road transport by foreign carrier operators while passing through Azerbaijan). * Prepared by the National Secretariat of Azerbaijan of the Intergovernmental Commission of TRACECA. The length of the borders of Azerbaijan is 3370 km, including 2657 km of land frontiers and 713 km of maritime boundaries. 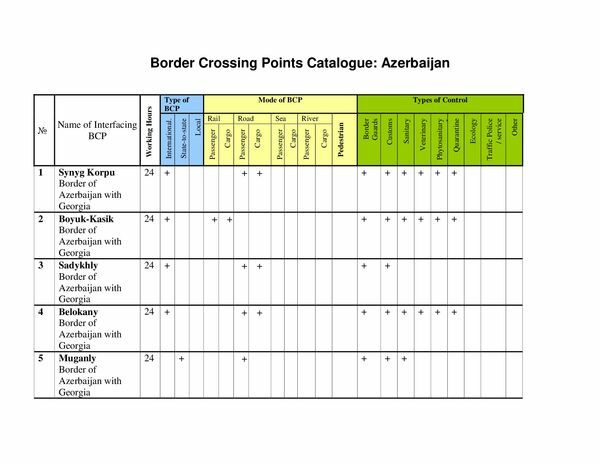 Azerbaijan borders on Russia, Georgia, Turkey, Iran and Armenia, it also has maritime connections with Kazakhstan and Turkmenistan. Many BCPs on the border operate on a twenty-four hour basis. Azerbaijan borders on the Caspian Sea with Russia, Kazakhstan, Turkmenistan and Iran. The length of the maritime boundary makes 713 km. The border between Azerbaijan and Armenia is closed due to the occupation of 20% of the territory of Azerbaijan by the armed forces of Armenia. 4. Visa of a country of residence. 5. Permit for road transportation on a foreign territory. 6. 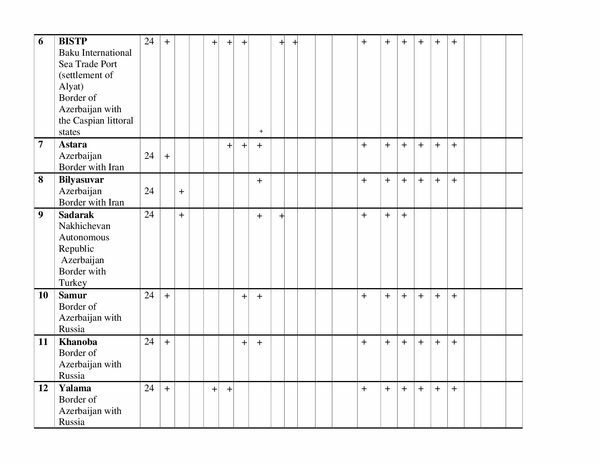 Set of CMR waybills (international form) for return loading. 7. Insurance policy (green card) on liability insurance of a vehicle owner. 8. Required number of duly processed of CMR waybills with specifications, certificates and other required supporting documentation enclosed by a consignor. 11. Availability of a tachograph on a vehicle is compulsory. In the absence of a tachograph on a vehicle in many countries a driver is required to have and to duly keep a personal control book. For foreign carriers - if a permissible quota is exceeded the cost of a permit for entry and transit makes 100 $, for road carriers of Iran - 160 $. In the absence of a bilateral agreement between the countries on the exchange of permits, for foreign road carriers the cost of a permit for entry and transit makes 150 $. The cost of a permit for handling of foreign motor vehicles in the territory of Azerbaijan makes 100 $, and for Iranian carriers - 150 $. The cost of a permit for transport to the third countries and from the third countries makes 600 $. The cost of a permit for the entry of an empty foreign motor vehicle makes 350 $. A special permit is required for the entry of large-tonnage vehicles to Baku, Guenja, Sumgait, the cost of which makes 25 $. For foreign carriers performing irregular bus transportation the cost of entry and transit makes 50 $.